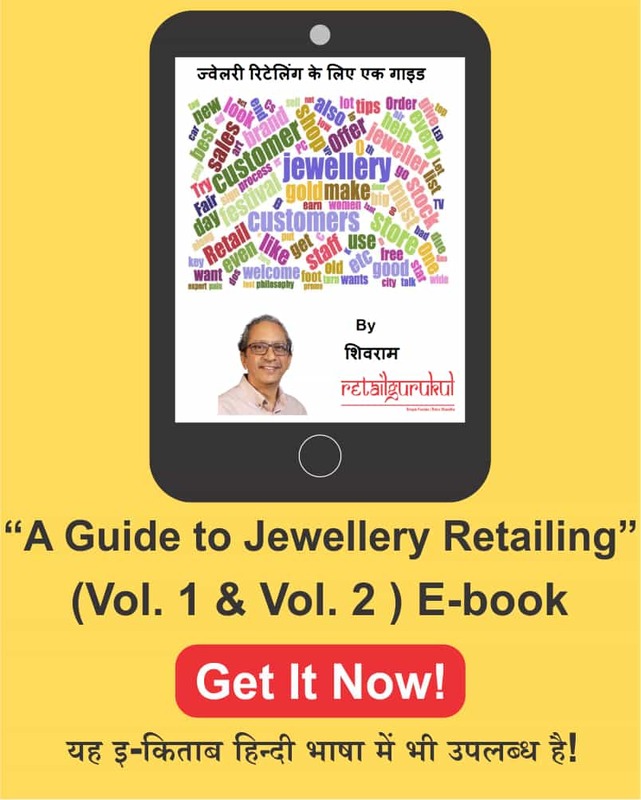 Retail Gurukul has launched it’s e-book “A Guide to Jewellery Retailing”. This e-book has 2 volumes. Volume 1 focuses on the “Front end” operations of the store. Volume 2 focuses on the “Back end” operations of the store. This e-book is available in English and Hindi language. You can read the e-book in your preferred language.